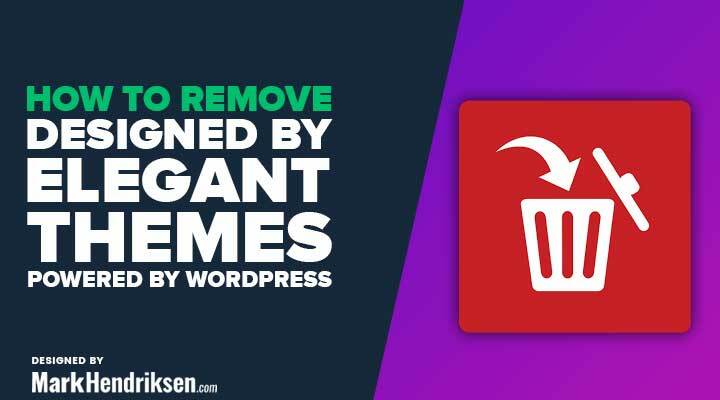 Most likely you don’t want this on your website, fortunate this is very easy to remove or to change it in something else. 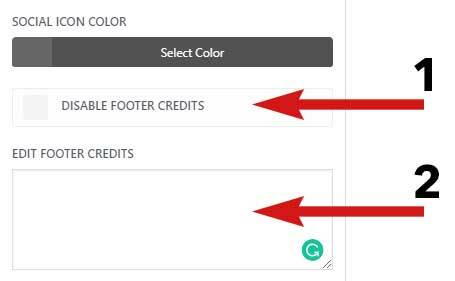 You can disable the footer credits by checking the box disable footer credits (1) or you can place something in edit footer credits (2) to replace the standard Divi credit text. If you want to center your Divi footer credits you can follow this tutorial Center Divi Footer Credits. Divi doesn’t have an option for that but this is very easy to fix. If you really want to make a special footer I recommend to create a custom Divi footer for that you can follow this tutorial how to build a custom Divi footer.